Book you Coventry Taxi to Heathrow Airport at any time of the day. We can pick up and drop off to all areas of Coventry such as; Coundon, Earlsdon, Chapelfields, Canley, Warwick Uni Campus, Tile hill, Cheylesmore, Stivichall, Binley, Walsgrave, Wyken, Radford, Holbrooks, Longford, Ryton on Dunsmore, Wolston, Bubenhall, Whitley, Stoke, Baginton, Finham, Willenhall. The distance from Coventry to Heathrow Airport by Taxi is 98 miles. The average travel time is 1 hour 44 minutes. Times can vary depending on the time of the day. We also pick up Return Passengers arriving at Heathrow Airport Terminals 2 – 3 – 4 – 5. If you would like a Taxi Waiting for you for when you land at (LHR) you can call us on +447933660089 or visit our Coventry Taxi Quote Page. Also Check out our Home page for more Information on Services we provide. Students seeking an Cheap Taxi to Heathrow acn take advantage of our Student Discounts that are available on All Airport Transfers from Warwick Uni to Heathrow Airport. 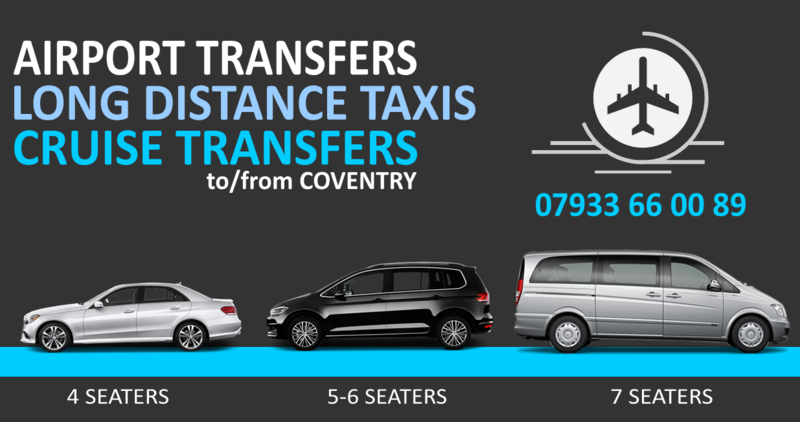 We have Taxis returning from all Heathrow Airport Terminals back to Coventry Daily. Prior to landing at Heathrow you can make contact with us via our Coventry Taxi Number or sending us a Heathrow Taxi Quote Request. When you visit Coventry there is plenty to see and do. We have the Famous Motor Museum and the Kenilworth Castle nearby plus having the Coventry University aswell as the Warwick University. Situated only 99 miles from Heathrow Airport. Coventry is only 1 hour 40 minutes by car.